Since its original publication in 1996, The Practice of Emotionally Focused Couple Therapy has been the definitive guide for couple therapists, supervisors, and students wishing to practice emotionally focused therapy. 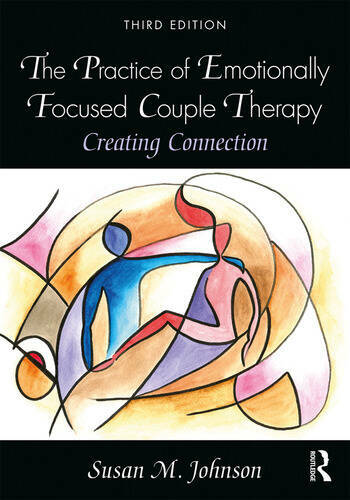 This cutting-edge third edition addresses recent changes in the field of couple therapy, including updated research results relating to clinical interventions, expanded understandings of emotion regulation, adult attachment and neuroscience, and dynamic EFT applications for a range of issues such as depression, anxiety, sexual disorders, and PTSD. Chapters introduce micro-interventions for use in EFT couple sessions, as well as a systematic presentation of a macro set of interventions called the EFT Tango. Clinical examples are included throughout, bringing the in-session process of change alive, and two case chapters offer in-depth commentaries of Stage 1 and Stage 2 EFT sessions. Written by the leading authority on emotionally focused therapy, this third edition is an essential reference on all aspects of EFT and its uses for mental health professionals in the field of couple and marital therapy. Susan M. Johnson, Ed.D., is the leading developer of Emotionally Focused Therapy (or EFT). She is a Professor Emeritus of Clinical Psychology at the University of Ottawa, Distinguished Research Professor in the Marital & Family Therapy Program at Alliant University in San Diego, and Director of the International Centre for Excellence in EFT (www.iceeft.com). "Susan Johnson’s 15-year update of emotionally focused couple therapy shows how powerful systematic research can be in developing a great theory. This book is a must read for all therapists." John Gottman, author of 8 Dates: Essential Conversations for a Lifetime of Love. "In this remarkable book, Susan Johnson provides the definitive summary of state-of-the-art practice in what is surely now the most widely disseminated form of couple therapy. The Practice of Emotionally Focused Couple Therapy not only comprehensively describes how to do emotionally focused couple therapy, but also concisely summarizes the substantial evidence about emotion and attachment upon which this approach is based and the extensive research demonstrating its impact. This significantly revised and expanded new edition of a classic book highlights the many significant advances in this evidence-based approach since its second edition. Speaking in a voice that is accessible and clinically meaningful to couple therapists, beautifully written, and filled with compelling clinical examples, this book should be an essential part of every couple therapists’ library."